People come to Jackman for its inclement weather. It’s the first place in the state to see flakes and the last to see grass. On winter evenings at the Northland Hotel bar, crews of red-cheeked and snow-suited revelers bring loud life to an otherwise proudly staid town. With a population of just under 1,000 people, the economy in Jackman hinges on winter tourism, but there’s no major ski area within a two-hour radius, and unlike Quebec City — its nearest urban neighbor, a two-hour drive north — there’s no winter festival either. Instead, people come to Jackman for the kind of untrammeled wilderness that’s hard to find in New England. 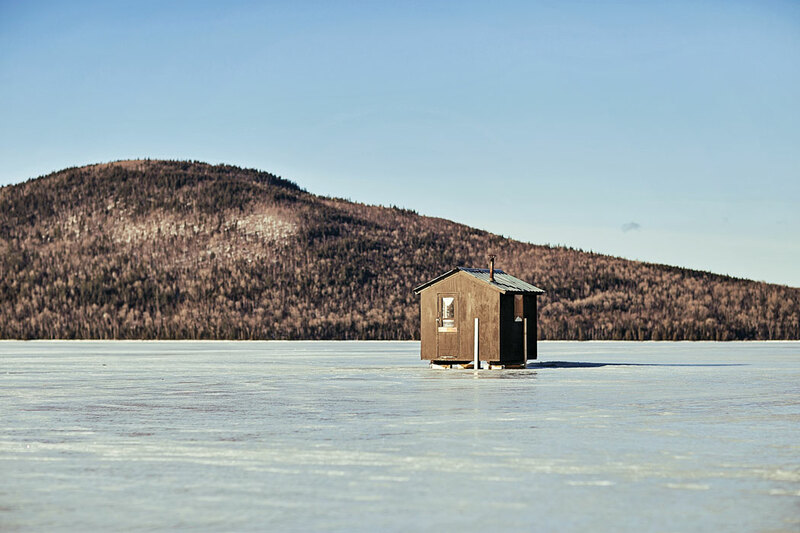 They come to hunt and snowmobile and to stay in the rustic cabins scattered around Big Wood Pond. They come to ice fish. They come to hike or cross-country ski or snowshoe in stunning terrain that few others exploit. 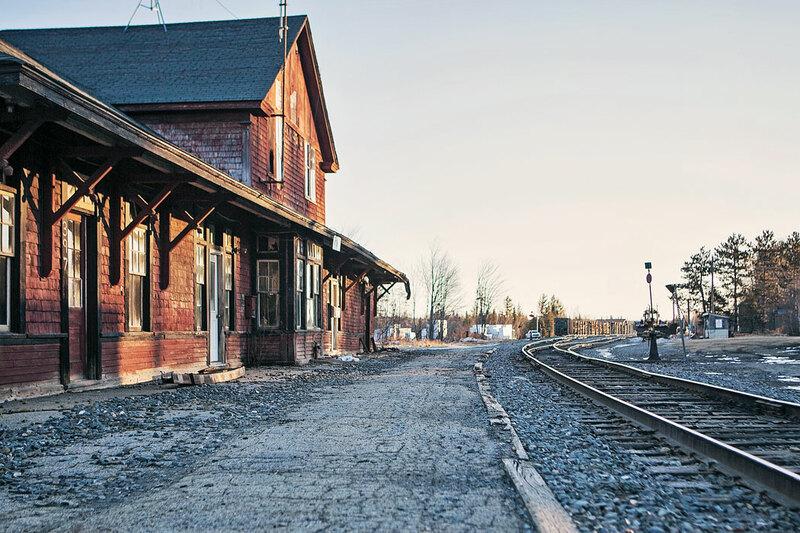 A mere 16 miles from the Canadian border, Jackman has the feel of a western frontier town. Self-sufficient and remote, its layout is practical: a single main drag of mom-and-pop businesses, residences spread out in a simple grid, a K–12 consolidated school, a single bank, a church or two. Now and then, a train runs through town, stalling traffic as a succession of freight cars makes its way toward Canada. 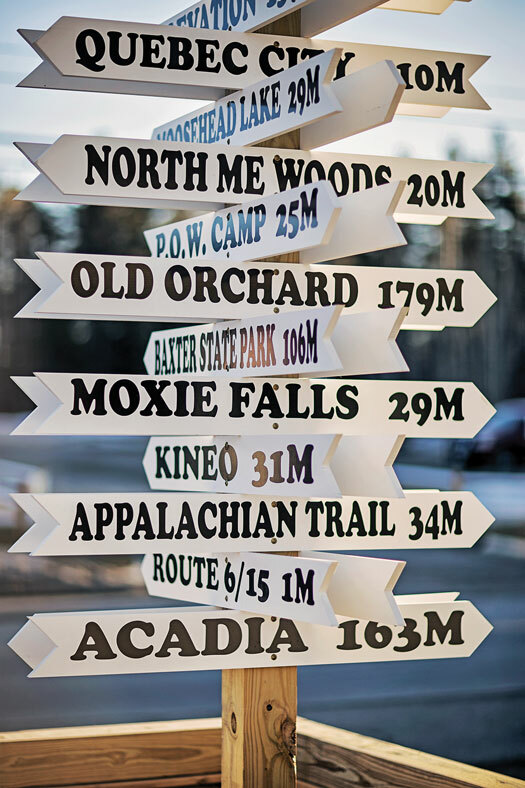 Carved out of the North Woods, Jackman is often the first place in Maine to see snow and the last to see it go. The severe climate and vast wilderness appeal to adventurers who demand little more than the rugged and the remote, topped by plenty of ice and snow. Even in seemingly prohibitive weather, tractor-trailers laden with lumber scream down Route 201. Sometimes they stop at the Pleasant River Lumber Mill, the town’s largest employer, and sometimes they continue farther south. Jackman is — and, since the town’s inception at the turn of the century, has been — a logging community. Logs piled house-high flank waist-level snowbanks along the road, their heartwood bright against the gray sky. It’s worth noting that the gleaming acres of forest in all directions provide not just recreation but also jobs for loggers and hunting guides and a growing number of sugarmakers, many of them operating businesses that tap tens of thousands of trees a year. In fact, Somerset County is the largest maple syrup-producing county in America, accounting for roughly 90 percent of Maine’s syrup production and around 14 percent of the country’s. My husband and I live in Jackman seasonally, working in our leased sugarbush on state land two miles from the border. Like those who pilgrimage from New Jersey or Connecticut or even farther south in their pickups laden with winter toys, we too come for the unique opportunities Jackman offers in winter. For us, it’s the acres and acres of maples that thrive in the harsh conditions. 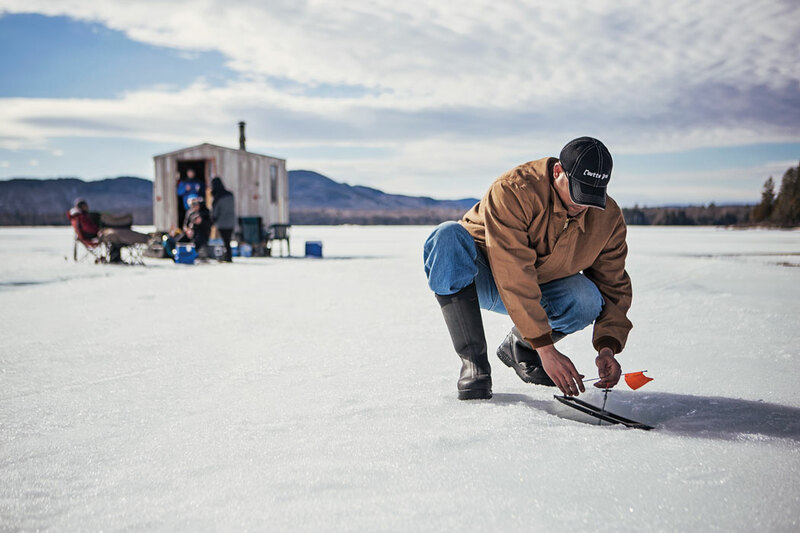 It’s the slow spring thaw that pushes sugaring season back a month or so from our more southerly peers. 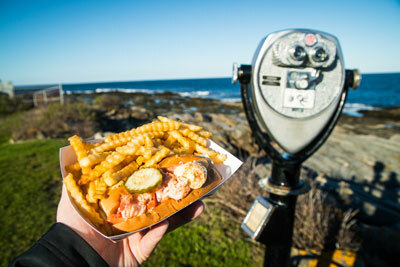 We find ourselves boiling sap in May, even — standing around the sugarhouse in snow boots when the rest of the world, it would seem, is dusting off grills and enjoying a first day at the beach. 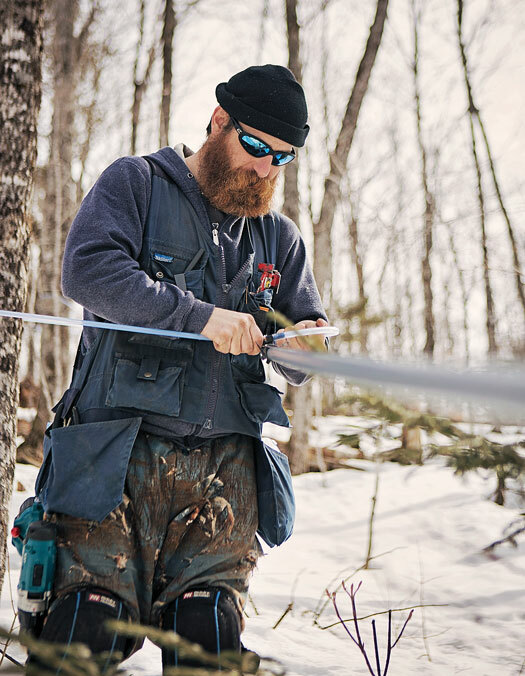 Our work allows us to get to know our 200-acre patch of land in all seasons — in spring, when the sap starts running; in summer, when the blackflies swarm insistently around little streams of snow melt; in fall, when the sugarbush is crimson with slick leaves; and in winter, when three or four feet of snow blankets the terrain. But mostly, sugaring is winter work. We tromp around in snowshoes and layer on the wool, coping as best we can with the frequently frigid weather. 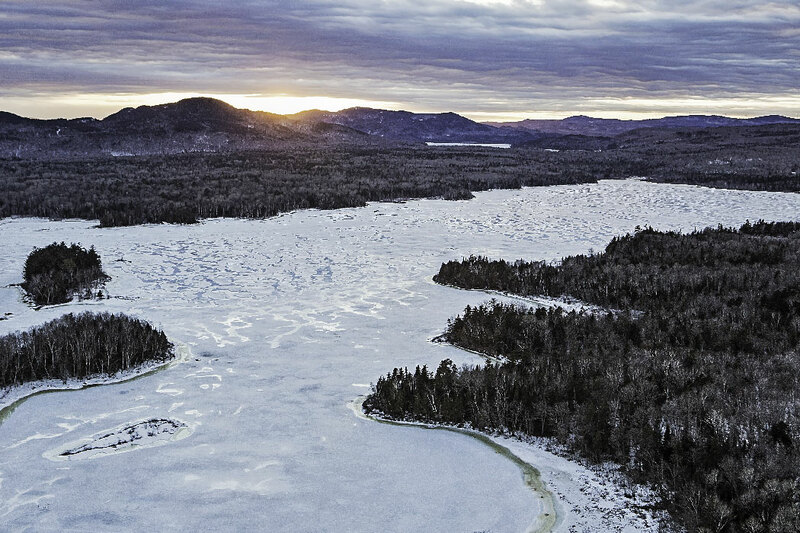 Ice grips Wood Pond in the upper Kennebec River Valley. Sally and Burnt Jacket mountains loom behind the far shore. 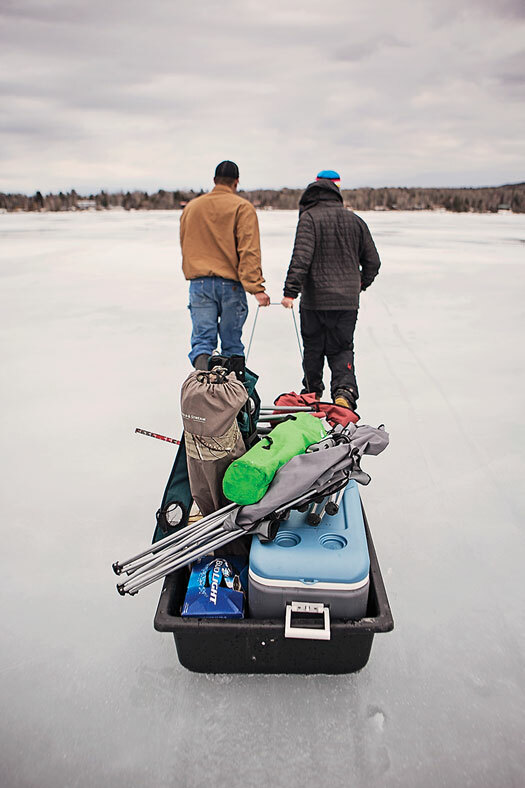 The lake is a favorite snowmobiling and ice-fishing destination.  And while he doesn’t miss those days, the remarkably mild weather Maine has experienced in the last few years has affected the quality of the snowmobiling and the length of the season. Still, Jackman has more snow in a bad year than pretty much anywhere else. Even a paltry snowpack is sure to attract die-hards. These are people generally unfazed that the stretch of Route 201 — running from Skowhegan along the Kennebec River and abruptly gaining altitude at various intervals — can be treacherous. If you’re willing to make the journey, there’s a payoff. With the icy river wending along to the left and banks of sun-dappled snow spanning as far as the eye can see, the drive is breathtaking. Especially after passing through the summer rafting mecca of The Forks — about 40 miles away, it’s Jackman’s nearest populous neighbor — when evidence of humankind just gets sparser and sparser. There’s no gas or services between the two towns, only the most stunning rest area I know of: Attean Overlook, just south of town, a vision of sky and rugged forest and shining water. On a recent drive from The Forks to Jackman, as I scanned the dusky road for moose, I passed exactly six cars. You come here to get away from stuff, not to bring it here with you. This is moose country. 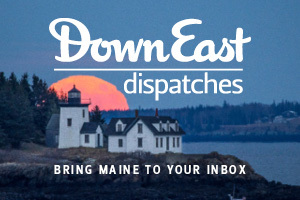 It’s hard not to see at least one antlered beast on a trip through this part of western Maine, whether roadside or deep in the woods, and though there’s majesty in their bearing, a midwinter sighting is also a reminder of how harsh the conditions here are, even for Jackman’s natural inhabitants. This time of year, they’re knock-kneed and mangy, surviving on what browse they can find in deep snow and often wracked with tick disease. They’re fatter and more regal during hunting season, when the prospect of bagging one attracts anyone lucky enough to win the moose lottery. They’re also the region’s unofficial mascot, evident not only in the flesh but also mounted on the walls of nearly every establishment in town and printed on at least half of the t-shirts, postcards, and knick-knacks for sale at Bishop’s Store. At first glance, Bishop’s looks like an unassuming gas station where snowmobilers line up to refuel after long days on the trail. It’s actually a well-provisioned general store, pizza shop, and town hub. You might wander in to grab a cup of coffee and leave with a sandwich, a bottle of wine, and a new pair of boots. You might also meet Danny Ferland, the world’s best Etch A Sketch artist, who happens to spend a good deal of time at Bishop’s with his red tablet at the ready. On days so cold that the majority of customers walk through the door in head-to-toe snowsuits, bringing a blast of arctic air along with them, Bishop’s, carpeted and cozy, has a ski lodge’s balmy hospitality. And if you’re in need of a warm bed, they’ve got those too — across the road at Bishop’s Hotel, its lot full of pickup trucks and snowmobile trailers. Though it’s a recreation opportunity to visitors, the forest around Jackman means jobs to locals. 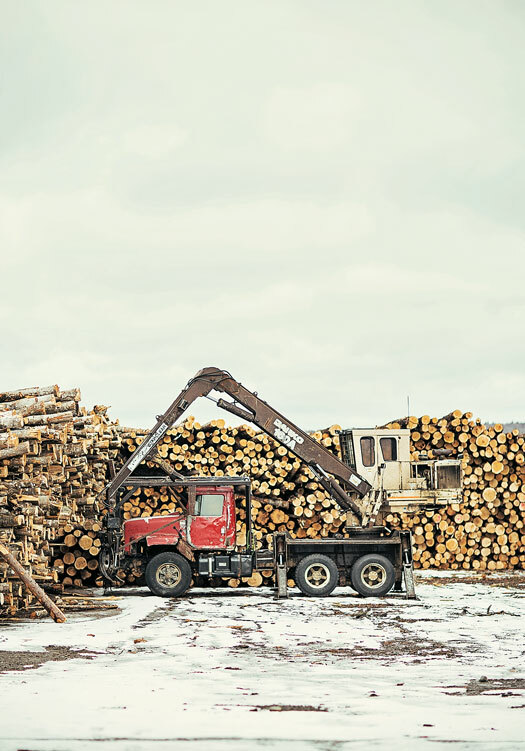 Pleasant River Lumber Mill is the town’s largest employer. 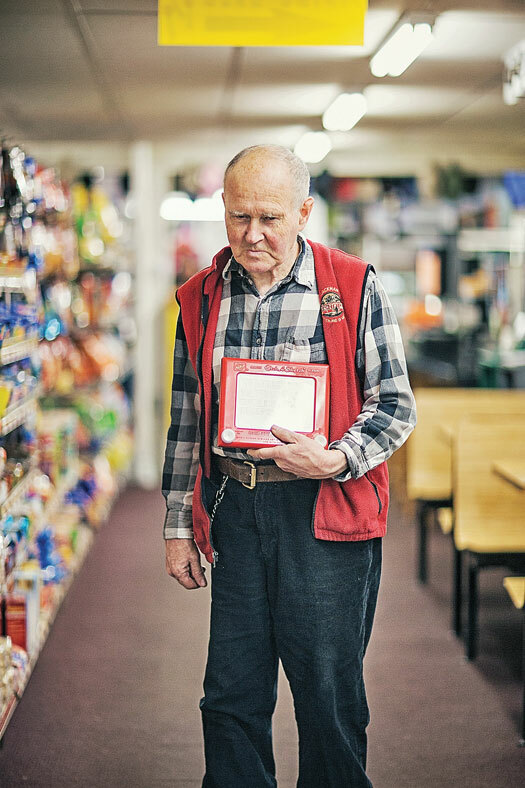 Danny Ferland with his Etch A Sketch at Bishop’s general store, a purveyor of gas and groceries, as well as Jackman’s social center. According to town clerk Diane St. Hilaire, “Every motel room and cabin is booked for a stretch of time in the winter.” A Jackman native, she even takes her vacations at home. In summer, she goes out to Fish Pond for a week and kayaks around. In fall, she goes bird hunting. She’s mostly lost interest in killing things, though, so she often just takes photos. “It’s a photographer’s dream,” says St. Hilaire, of the weekends she spends searching for shots on the hundreds of miles of trails and logging roads the lumber companies let the public use. Carrie Braman received her master’s degree in nonfiction from the University of Montana. She is a freelance writer and co-owns Frontier Maple Sugarworks. Beautifully written. My dad, Kenny Andrews was the mailman for years and I taught swimming to local school children for years at the Briarwood and Danny says I am too short for him to marry me. Nice article! 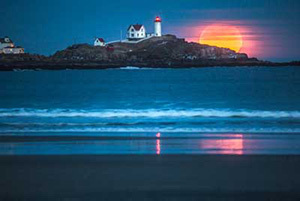 Most of the reasons I come here, and still call it home, are within this article…. I agree with Carla Small–this is a beautifully written article, and it calmed me down just to read it. Thanks, Carrie, for sharing this part of the world, which is your world.